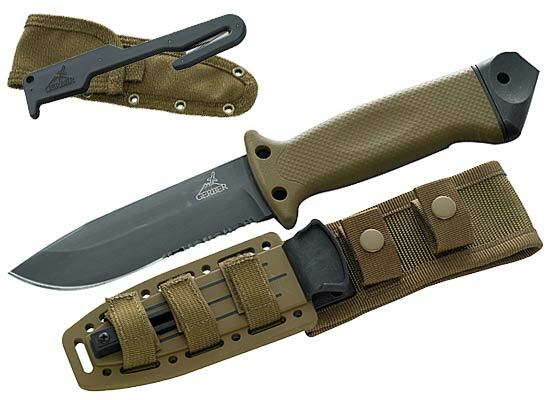 How to choose the best survival knife? The knife is one of the most important accessories that you need to consider when planning a trip in the middle of nowhere. There are many stories of survival where the people have done well just because of this vital accessory. The current provision is an extremely broad knife and being able to choosing the right model can prove to be a big hassle and your money may not get spent more or less intelligently. I went through this phase too. Some time ago I decided to buy the perfect Bushcraft knife for my adventures in nature. I’m the kind of guy who once I have decided to make a purchase; I like to investigate all the better and I want to know more about the subject matter,so that I am able to make the perfect choice. So I lost many hours surfing the Internet, talking to people, looking through books and stores in search of useful information about what is a good Bushcraft knife. We have included the most important information in this article, and I hope to be helpful if you’re looking for a Bushcraft knife or other kind of survival tool. Before we begin I want to emphasize that what follows are just a number of important attributes about Bushcraft knives. Choosing the proper knife takes on many factors that differ from person to person according to your taste, budget, brand preferences and needs. 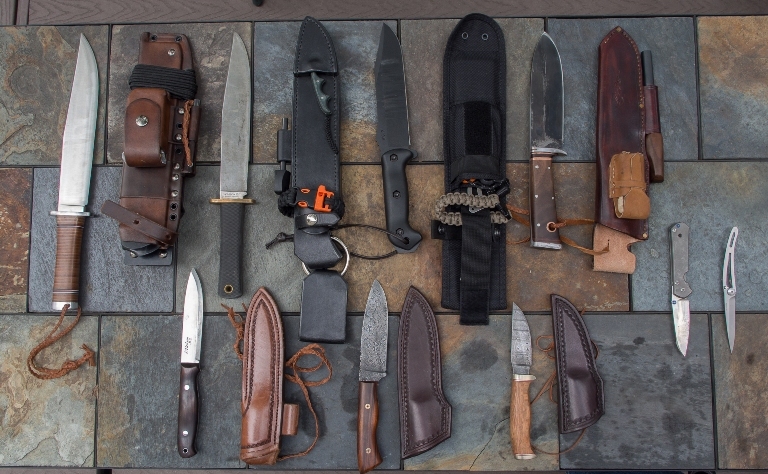 This article will help you make an educated choice about your future best survival knife. When it comes to size, for a survival knife we must have an average size. It should be not too big to be carried and used hard and not too small that it cannot be used for tougher tasks. For this reason it is recommended that Bushcraft knife blade length should be between 4-6 inches (10-15 cm). On the other hand, a survival knife is recommended to be slightly bigger as it supposed to be “tortured” over the felling of trees etc. It’s good to know that any large knife can do the job of a small knife, but a small knife can`t do the job of a large knife. 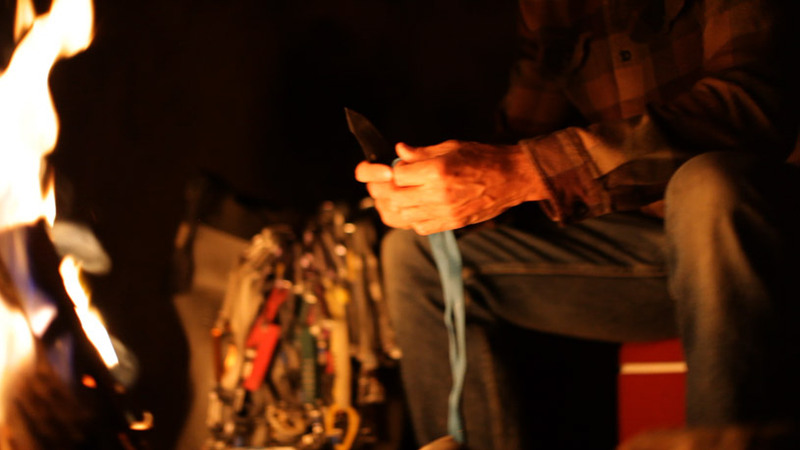 Fixed or folding how should the perfect survival knife should be? There are two types, namely knives and fixed blade and folding blade or furniture. The advantage is that folding blade knives are easy to carry, and doesn’t require a sheath, and so it can be handled more easily and … that’s about all. On the other hand, the advantages of a fixed blade knife are far superior. The first is stiffer, so you cannot have the unpleasant surprise of no handle. For this reason you can use it for more complex activities without any problem (slicing tree trunks, breaking up ice, digging, building a shelter, shotgun, hammer, etc…). Customers prefer to carry two knives. One fixed blade and one blade serious business mobile for activities that require more finesse and delicacy – for example cleaning fish, cutting twine or sharpening an arrow. It remains your choice if you want to wear a second knife, but remember that the fixed blade is always a priority. Full Tang Tang or Partial Rat-Tail Tang which on would be on the best survival knife? As you can see in the image above, these three categories refer to how much the of “expand” is made of metal blade handle. A Full Tang survival Knife is practically a whole piece of metal. The form is that of a sharp blade and a blunt handle. Because this kind of knife is most robust is recommended to be your first choice when it comes to Bushcraft and nature activities. Also, even if the handle is damaged, the knife may still be easily used. The Partial Tang survival knife`s metal blade extends only half or even less which affects the rigidity of the knife handle. Thus, if the handle breaks or is damaged, the blade may become difficult or even impossible to use in survival conditions. The Rat-Tail Tang survival knife is not recommended as from its use in harsh conditions the handle can destabilize easily. Cupped edge. It is very sharp and can easily cut. The problem is keeping it sharp and it must be polished often. Smooth edge. The blade tapers from top to bottom in proportion to both sides. Blade saber (sword). This type of grinding sharpness remains good, but not as easily as the cut in point 1. It is quite similar to just a flat blade angle forming the start of the lower edge. Chisel edge type. It consists of a simple inclination on one of the two parts of the blade and is like a chisel. Blade with double bevel or compound. Thin blade cutting edge exactly in zone, which improves its cutting ability. This way of sharpening has a wider angle of the cutting edge, which means they last longer, but do not cut as well as the blade point 3. Sharpening the convex type. This is the opposite of the hollow grinding type. It has more material behind the edge, thus making it more durable. This kind of grinding is often found in axes or other tools used for cutting operations or breaking hard wood. For the best survival knife is advisable to choose the gender grinding blades that are Saber or double bevel because they are the easiest to sharpen without specialized tools and are able to maintain a good edge. As you can see in the picture above there are many types of blades. There is no point to provide all the details, so I will focus only on the fit for a best survival knife. The first type is the Clip Point blade. It has good sharp tip which leads to sinking or hollow. Also, the blade can be easily converted into a hunting rifle. The second type is a Spear Point blade. This tip is tilted angle proportional to both sides like an arrow. It is very durable and is also very good at cutting. Its disadvantage is that it’s hard to use in more delicate activities, but despite this, is still remains a very practical type of blade. In addition, there are a number of blades having a serrated portion at the bottom of the blade. This portion is very good for cutting, but the disadvantage is that sharpening it is extremely hard. Personally I prefer the knife without any teeth, but this depends on individual needs. I want to point out that when choosing a survival knife orBushcraft one, you must avoid the type of blade sharpened on both sides. The reason? You will have a limited access to a number of activities that can be done with this knife (such as batoning, a flint ignition etc.). Ideally have a blade design that is simple and opposite that is cast at an angle of 90 degrees. The handle of the knife is an important component because if not chosen carefully can injure you or damage easily, which makes it impossible to use knives safely. Handles are made from various materials including plastic, bone, horn, wood, leather or rubber. Plastic is strong but does not absorb shocks. Bone and horn are very durable and looks good but does not provide a very good grip. Wood and leather provides good grip but need regular treatments to prevent them from deteriorating. Rubber is the most versatile because it gives a good grip even when wet and is resistant. When choosing handle should be careful as the first to be comfortable for your hand. Any bumps or depressions which are uncomfortable at first touch can later turn into sores, therefore they must be proved handle personally. Some knives have a small stop (or call) between blade and handle to protect your hands. 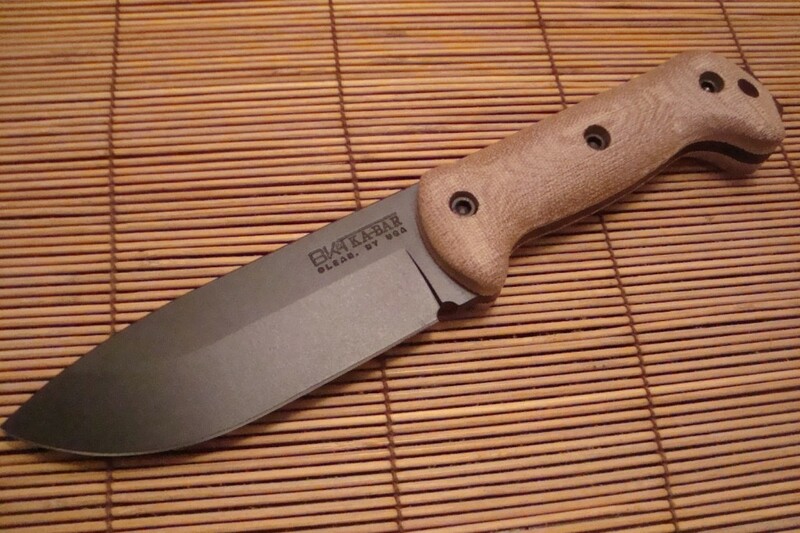 For greater versatility, it is recommended that the knives bushcraft stop is not extended on both sides of the blade on the right side but sharp. Avoid knives with hollow handle containing inside jungle survival (fishing needles, string, flint, arrows, etc.). This type of handle and blade stiffness affect their construction in two parts may be damaged easily. There are exceptions to this rule, but for starters it’s good to stay away from this type of handle. Attention to the bottom of the handle. This part has to be very strong because often you will need to use the type of hammer. Some knives have sharp or rounded this zone which limits the activities that can be done with that knife. Steel alloys used for survival and bushcraft knives differs from one manufacturer to another and is a fairly complex. The main types of steel alloys used are for stainless steel and carbon steel. Blades made of stainless steel are usually intended for use in salt water environments. I want to remove the myth that claims that type Stainless steel blades do not rust. Also rust like all blades do just that much harder than carbon steel for example. Carbon steel is in the most commonly used knives bushcraft or survivors. Its advantages are that it is very durable and easy to sharpen. The main disadvantage is that rust faster than stainless steel if not maintained well. Therefore, you should smeared it with a thin layer of oil if not used for a long time. Also, if you use it in a salt water is recommended to wipe, to dry and anoint him with oil after each use. Another advantage is that Carbon Steel sparking more powerful when you scratch the flint. So it helps to start the fire quickly – a vital aspect of survival in the wild. While we’re in this chapter I want to talk a bit about black blade knives because they are very popular. Were initially invented for military use, as it reflects the light, so I can not betray the position of the soldier in the field. The black color is given by a thin layer of Teflon which has a protective role. Unfortunately this layer deteriorates fairly quickly if the knife is used intensively. The good part is that no matter how scratched Teflon blade itself is not affected by anything. Any knife sheath bushcraft needs. Firstly to protect yourself and secondly to protect the knife. Cladding design must accommodate a better and fix both blade and handle as well, but at the same time and allow you to have quick access to the knife. Also, make sure that the sheath is provided with a mounting system that can allow you to attach to belt or pants leg. Survival knife sheath should be made of durable material. There are here many types of materials to choose from, and each has its advantages and disadvantages. Leather Sheath – fits perfectly the blade is sturdy and has a great look. On the other hand it is not very secure and retain water which results in rapid corrosion of the blade. Nylon sheath is made of Cordura or better than leather because it retains water and is just as durable. Finally the most recommended material is Kydex site because it is solid, lightweight and well protecting the blade. The knife is an indispensable accessory for traveling in nature. Whether you choose a hundred dollars knife, whether you choose a cheaper one, most important thing is to know how to use it. Although I have presented detailed above you need to consider when choosing a knife for shipments in nature, ultimately it comes down to individual preferences. The most important is to find the knife that fits your needs. Before taking the final decision analyzes several models, take them in hand and if you can test them. Then see if you meet the criteria read here. If you feel that is the right knife, then buy it! Finally, it is good to have any kind of knife at you than not having at all. Even a small pocket knife can be the best survival knife at that time that can make the difference between life and death.